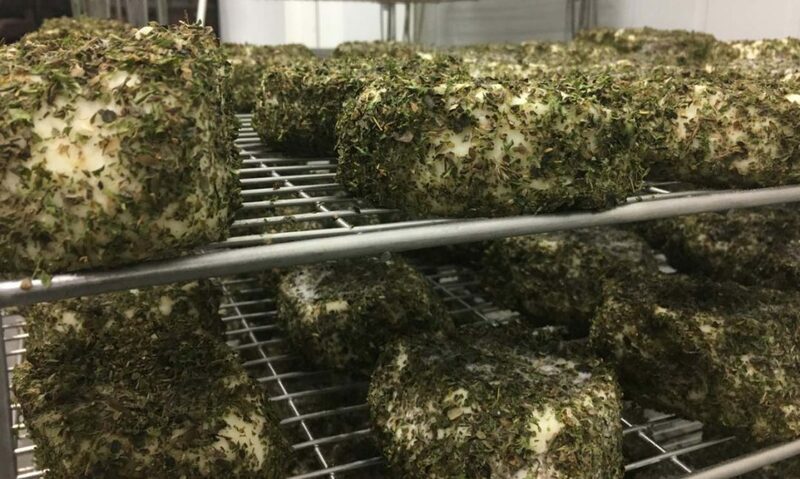 Ruth Klahsen, cheesemaker at Monforte Dairy, opened her Stratford, Ontario dairy in 2004, following a self-diagnosed “mid-life crisis.” The former chef mortgaged everything she owned to start her cheesemaking business. Her gamble paid off and Monforte now makes some of Ontario’s premier cheeses, sought after by top chefs and cheese lovers alike. Monforte’s offering includes Water Buffalo Halloumi; Goat Milk Feta; Hodge Podge, an aged cheese that mixes cow and sheep’s milk with whole black peppercorns; and Providence cow’s milk cheddar. Sample and purchase Monforte’s cheese at The Great Canadian Cheese Festival. In all, there will be 150 Canadian artisan and farmstead cheeses on offer, plus 200 specialty foods, not-to-mention small-batch wine, craft beer and cider, and spirits.